Google PageSpeed Tool often shows Leverage Browser Caching Google Analytics warning in the test result. In this article, I will share how you can overcome this warning. And should you really need to worry about Leverage Browser Caching warning for Google Analytics. 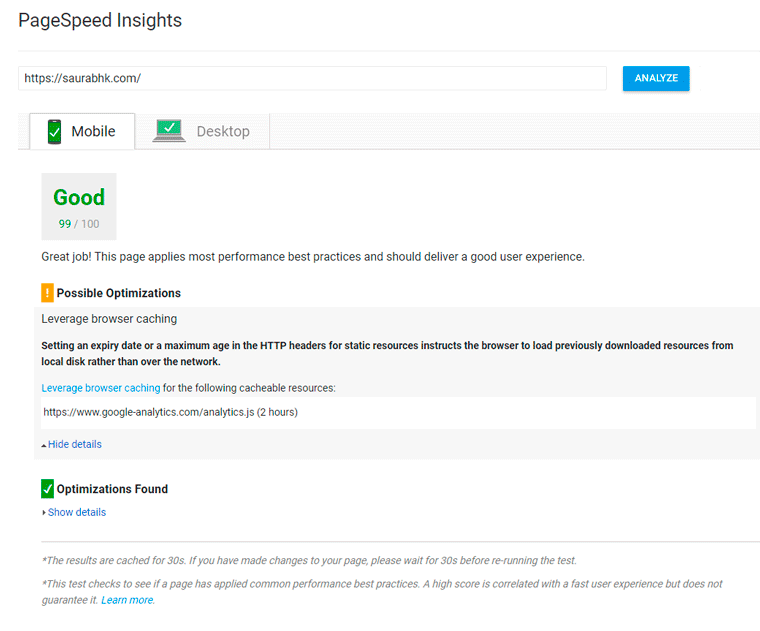 First of all, we need to know few facts about Google PageSpeed Insights Tool. Google PageSpeed Insights score a webpage from 0 to 100 based on common performance best practices. Which are recommended by Google. It also provides suggestions to improve webpage performance for better user experience. As the performance measuring benchmarks i.e. common performance best practices are recommended by Google. 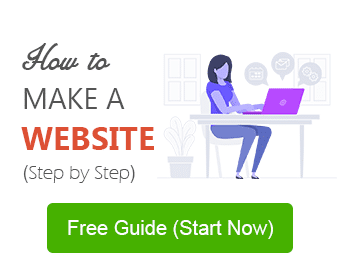 Therefore, only if your webpage is following most of the recommended practices, PageSpeed Insights score of your page will fall in Good category. As better user experience and page speed is taken into account as a positive signal by search engines. Therefore it is fair to say that webpages falling in Good category (with high PageSpeed Insights score) are likely to be displayed higher in SERPs. This is the only reason everybody is trying to achieve 100 out of 100 PageSpeed Insights score. 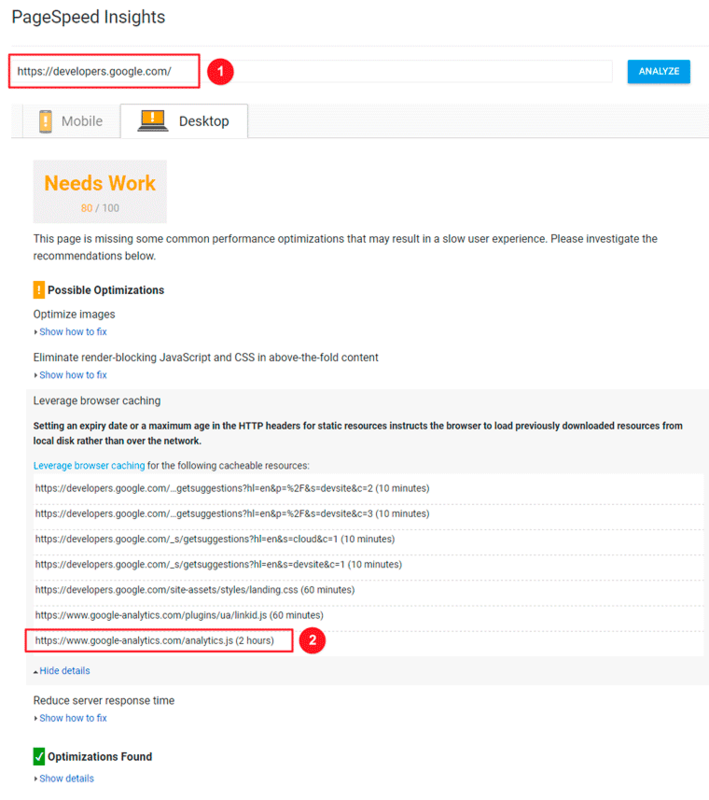 Leverage Browser Caching Warning for Google Analytics – Why? Leverage Browser Caching usually refers to allow web browser to store static resources of your webpage for a defined period and use these locally stored resources next time you visit the same webpage. However, if you still want to remove Leverage Browser Caching warning for Google Analytics. Follow the given below steps. If you want to ensure that web browser should cache Google Analytics JS file. You need to host analytics.js file locally on your server. And load this file on your webpage from your server. Note – You may probably notice some inappropriate data in Google Analytics web portal. This will happen because you might be using the old analytics.js file. And you have to manually update the Analytics Script again. I don’t recommend this method to anybody. Unless somebody is dying to achieve 100 PageSpeed Score without using a plugin. First of all, Install and activate Complete Analytics Optimization Suite (CAOS). Finally, Click on the Save Changes and you are done. This plugin creates a local analytics.js (Analytics Script) file on your server. And uses the same file with Google Analytics code. Also, it automatically updates analytics.js file from Google servers after a certain period of time via wp_cron() function. If you desperately want to overcome Leverage Browser Caching Google Analytics warning. You can use this plugin. Hope you find this article helpful. Do let me know your queries in the comment section below. I will be happy to help. You sir, are brilliant, thank you for the tutorials that you put so much hard work into them! Thank you Saurabh! It helps a lot! Thanks, Really Useful Post. I choose Complete Analytics Optimization Suite to Load My Google Analytics Locally. Keep Up Your Good Work. Great to know, you find it useful. Thank you for stopping by! this is legal ? Change google analitics js file ?